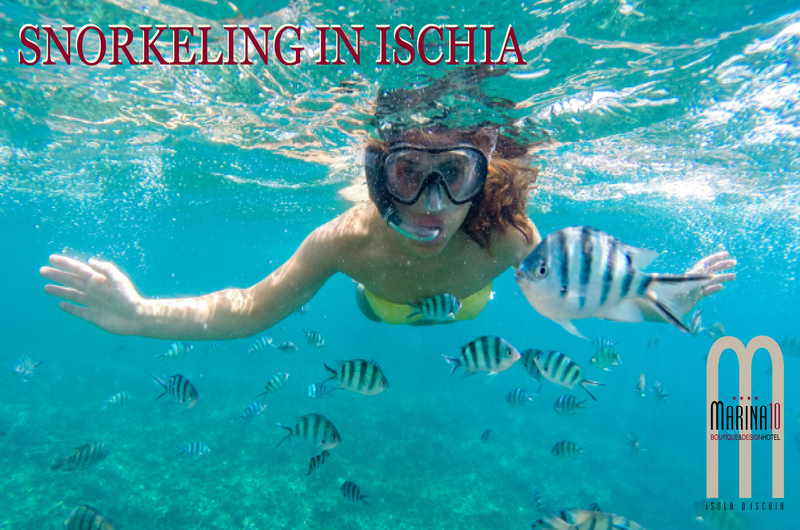 A #holiday full of sport and activity to explore the beautiful sea! Snorkeling boat. An exciting trip we will explore the dive site of Ischia Ponte and the Aragonese Castle with the Posidonia oceanica. An underwater world rich in biodiversity and unique colors. from April 19 to 07 August 2019 and from 25 August to 21 October 2019. The offer is not valid from 08 August to 22 August. Departure time postponed to 12:00 p.m. (on request and depending on availability). The above rates are per person with bed & breakfast treatment, Iva and all the taxes in force today. City tax not included and to be paid directly at the hotel: € 2,00 per day per person.